A small birthing couch kit for smaller birthing rooms. 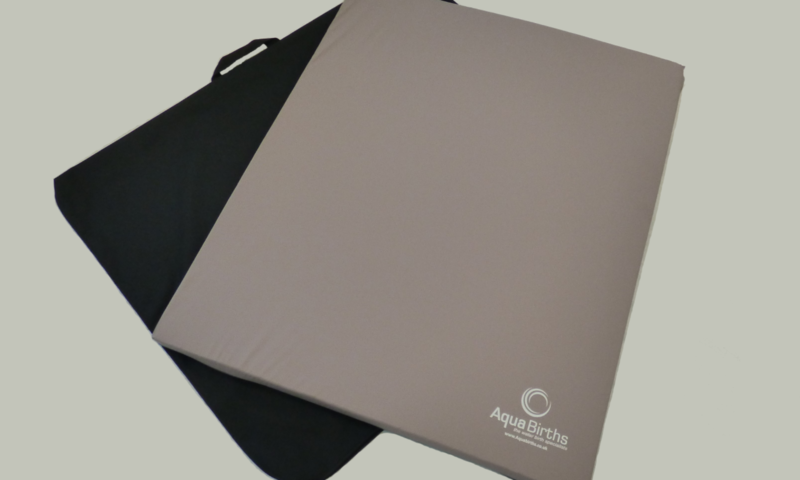 The Mini birth couch kit is made of the same fully cleanable PU material as the full-size SoftBirth birthing couch kit. It is double lined for additional safety too and the zips are covered by wide flaps. All seams are heat sealed. The specifications are the same, only the size is changed. 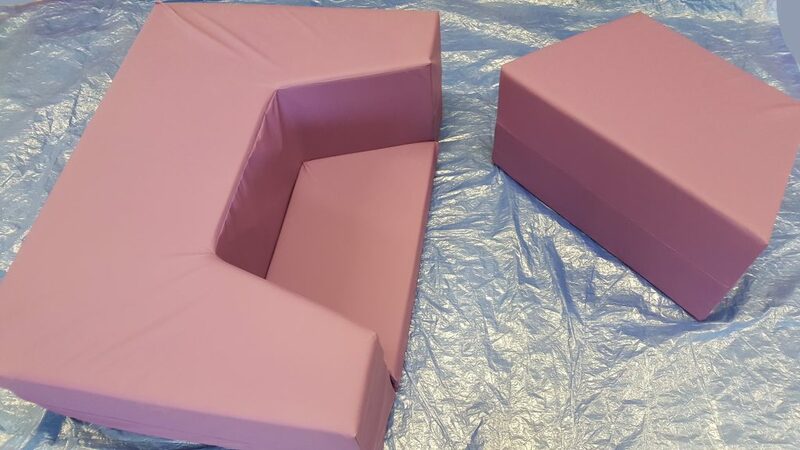 The mini birthing couch is 115cm long x 90cm wide by 42cm high. Just like its big sister, it has the pull-out seat for partner or midwife. And a shaped kneeler so that the birthing mum can kneel into the recess and lean into it. Currently, these are available in heather colour and are on special offer at £625+delivery VAT. There are discounts for buying 2 or more, so do get in touch. An extension kit is available to make the Mini couch up to 2m long so that it can also be used as a bed. The extension kit consists of a foam ‘block’ with the same colour cover and a stretch cover valence (also in the same colour) to hold them together. The extension kit is £575+delivery and VAT but you can make a big saving by buying the extension kit and Mini couch together for £1195.